The La Gloria Cubana Medaille D’Or No.3 is a pretty and tasty medium Slim Panetela, 6.9” (175mm) long, of 28 ring gauge, and comes in a 25 cigars box. This panetela fulfills all the requirements of the brand, with good combustion and draw. a Habano that is appropriate for a cocktail and which does not impose itself in either aroma or flavor. An easy to smoke cigar. Woody and spicy especially in the last third. 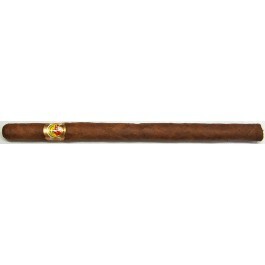 A cigar to enjoy anytime by aficionado who are looking for an authentic Cuban taste.